When one is presented with the rare opportunity to pick the brain of retired NASA commander Chris Hadfield, one must be diligent in RSVPing to the correct press conference — i.e., not the kids’ one. But my panic when I find myself sitting among a hundred or so little journalists-to-be quickly dissipates when I discover that this world-famous astronaut is most in his element when surrounded by wide- and starry-eyed kids. Perhaps it’s because their explosive, boundlessly open minds make the perfect container in which to pour his otherworldly wisdom. As they wait for their hero to speak, they’re all sitting on the edge of their seats like they’re about to watch Buzz Lightyear fight Darth Vader (although I imagine it would have been the same at the grown-up conference). A classic caricature of a Canadian, Col. Hadfield looks kind, collected and curious — a facade that’s always complemented his role as the country’s own Dr. Manhattan, dweller of the cosmos and navigator of the dark, sparkly “beyond.” Being the first-ever Canadian astronaut to walk in space, Col. Hadfield is studied in classrooms all over the country, among the ranks of Canuck icons like Sir John A. Macdonald, Henrietta Muir Edwards and Jennie Trout. He’s the epitome of this country’s distinct approach to changing the world — that hybrid of humility and boldness that no other nation can quite seem to copy. We’re at WE Day Toronto, the event held annually by WE Charity in support of various youth initiatives around the world, and Col. Hadfield literally just stepped off the stage — after performing an electrifying duet with Gord Downie — and into the conference room. The first junior journalist asks the question that’s on every kid’s mind: what’s it like in space? 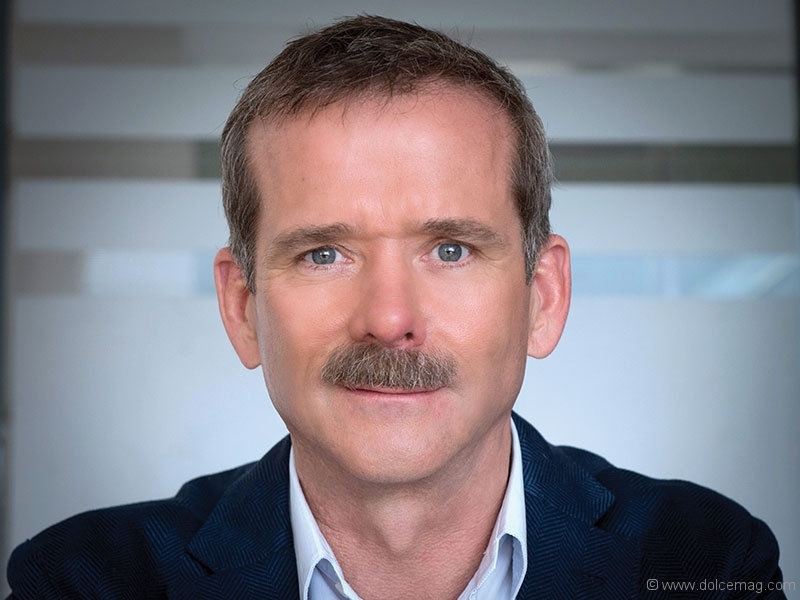 Col. Hadfield was raised on a farm in Sarnia, Ont. — a small-town boy with dreams that were sky-high (actually, even higher). 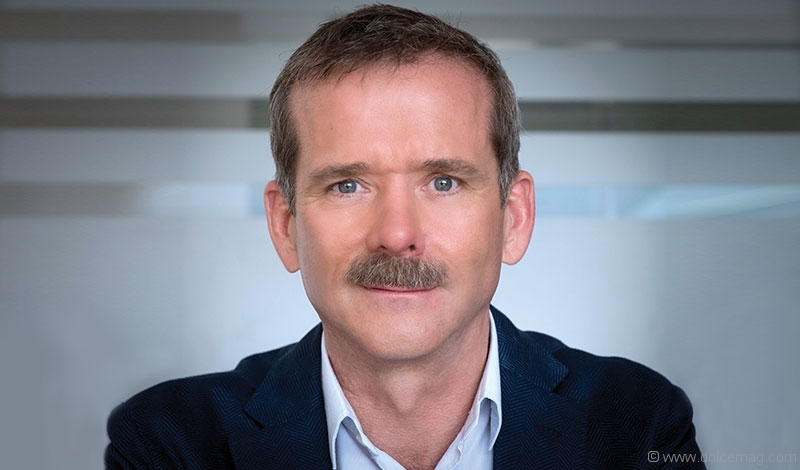 After watching the Apollo 11 moon landing on TV, the young Hadfield sold his soul to the idea of one day spinning around the Earth in a space shuttle. He took a not-so-baby step toward that goal when he earned his glider pilot’s licence through the Royal Canadian Air Cadets at age 15, eventually becoming an RCAF fighter pilot. In 1992, he was accepted into the Canadian astronaut program by the Canadian Space Agency, and three years later he was on his first of three space flights. Col. Hadfield ponders this a moment, and the room is overcome by a hush, as though everyone’s sifting through the man’s many accomplishments. He married his high school sweetheart. He made her, and the country, immensely proud. He was the first to make and release music from space, posting his first single “Jewel in the Night” on YouTube on Christmas Eve in 2012, during Expedition 35. He took his extraterrestrial experience, in all its mind-bending majesty, and squeezed it into a little book called You Are Here. He’s donned numerous awards, medals and other honours, from the Order of Canada to the NASA Exceptional Service Medal. And by the looks on the faces in his crowd, he’d inspired the next generation that even in the most mundane tasks, it’s possible to reach for the stars — and to succeed.